Getting Practical is supporting the LabSkills project. 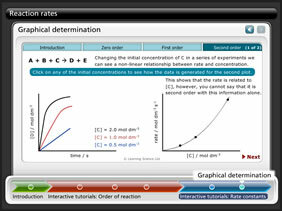 LabSkills is an interactive software resource designed to help teachers and their students get more out of laboratory sessions at A-level and GCSE levels. To find out more about how to get hold of LabSkills, click here. This resource helps to develop problem-solving skills and encourage a life-long learning approach to education, created by Learning Science and the University of Bristol, and promoted through the Discover Chemistry Programme run by the RSC and Pfizer. 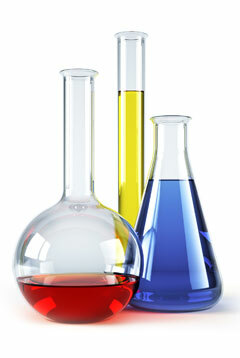 Available as a USB stick, a teacher can use the material to prepare students for a laboratory session. 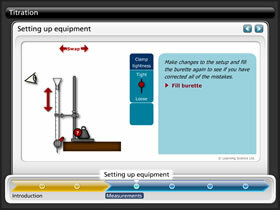 LabSkills supports and encourages the student and enhances the practical work. It is not designed to be a substitute for practical work in science. It can however play an important role in promoting best practice in lab skills in a stimulating and engaging way. Students can practice filling a burette using the resource and as a result, make fewer errors during the actual practical. 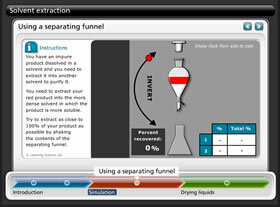 Interpreting the results of experiments can often cause students problems. This programme allows students to relate the experimental data to graphical results. Preparation skills can also be studied, exploring the best practice for simple standard procedures. Students can work through how they might approach identifying compounds, highlighting the tests they might use and the results they might expect. A free trial is available for teachers to test out. ‘I think it’s great that there is something to support practical skills, because some of my chemists actually did very little practical work in school…. …we don’t want to be in this self-perpetuating cycle of teachers being unconfident about practical skills and so therefore not teaching them. It could be very useful for that’ (PGCE tutor). ‘It has given me more confidence when it comes to practical work and I have not felt the need to shy away from any practical work, because I know there is help available to me’ (Trainee teacher). ‘…if someone needs more help, they could go through the problem-solving step-by-step, and it’s all clearly laid out. So that’s one of the beauties of LabSkills’ (Trainee teacher). ‘..in the lesson, when they actually came to do the experiment, you wouldn’t get a thousand questions at the beginning, they’d have a bit more of an idea of what they should be doing, because they’d have seen it’ (Trainee teacher). From the summer of 2010, we will be holding workshops at conference and meetings to demonstrate the LabSkills resources. You will be able to see the resources in action and get a feel for how you might be able to use them with your students. Those attending will be invited to sign up for the resource and will receive the USB stick containing the materials. 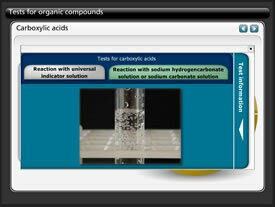 www.labskills.co.uk to see how you can benefit from the LabSkills resources.